I recently finished reading the book A Snicker of Magic about a girl who sees words all around her and collects them. She shares them with her best friend but is too shy to turn them into poetry and speak them in front of a group. Here are some of her words and what she says about them. I believe sharing stories is a sacred act. It creates an everlasting bond between you and the listener. Don’t be afraid to use your words or share your stories. The world needs them to survive. Stories are the glue that holds us all together. I used to be afraid to share my stories, too, but not anymore. As an exercise, I decided to collect some of my own words and see if I could string them together into something meaningful. Magic marshmallow dreaming leads to red poppy success. Try collecting your own words and fitting them together like a child playing with blocks. You might just build something really unique. Something that can hold you up. Something that can change the world. Not really, but according to the book I just finished, kissing frogs is the equivalent of going after your dreams, the things that make you happy and fulfilled. 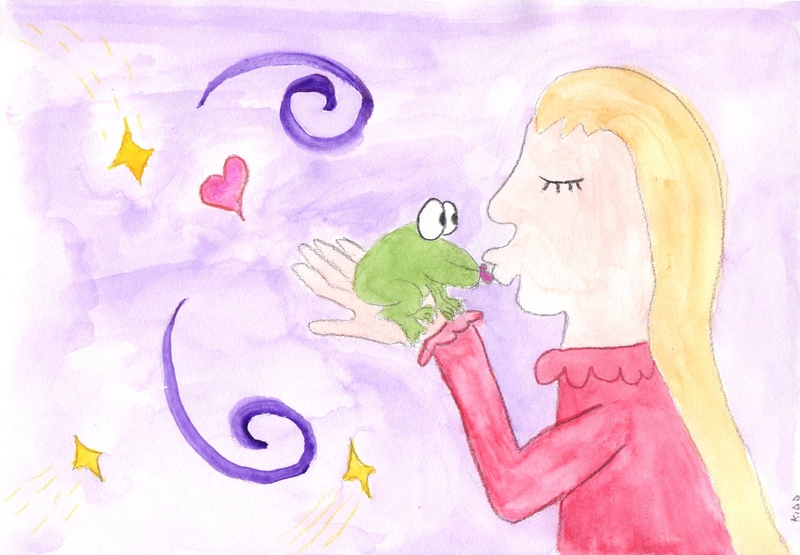 The frog is the very thing holding you back, so why should you kiss it? Because you can always transform something negative into something positive and change your life forever. Here are a few of my favorite quotes from Kiss That Frog by Brian Tracy. The final quote I want to share comes from a middle grade novel I just finished reading called A Snicker of Magic by Natalie Lloyd. It’s funny how once you start focusing on an idea, the more it shows up in your life in different places.